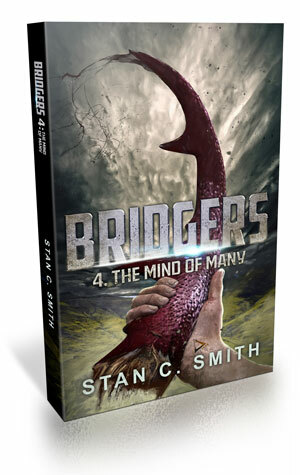 Bridgers 4: The Mind of Many is the fourth book in my exciting Bridgers series. Time is up. Earth is collapsing. Eight billion people and countless other living things will die. 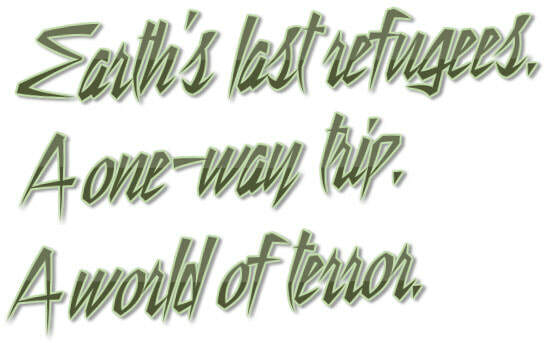 Bridgers Infinity Fowler and Desmond Weaver have one last chance to save a handful of refugees. And one last chance to have a life together. bridge out. Their destination: an alternate world similar to their own. A place that will be safe. where nothing is familiar and everything is potentially deadly. For the refugees, this is a one-way trip. There’s no going home. To survive, they must learn to work together. But something extraordinary exists here, something that could turn them all against each other. Something that could destroy the bond between Infinity and Desmond. Get Bridgers 4: The Mind of Many on Amazon (available to purchase or in Kindle Unlimited). "A biological creativity, with bizarre and frightening details, Stan has a prodigious imagination! Each installment is more gripping, gritty, with fascinating fearsome creatures, filling you with trepidation, edge of the seat and nerve wrecking scenes." "This is the best one yet; there's lots of action, the whole series is one giant adventure, and there's even a tiny bit of a love story as well. This is a must read series for just about anyone. It's gonna be difficult waiting for the next book!" "Unmissable! How on earth does this author think of these things? Actually, we know the answer, as this author's newsletter introduces us to the weird and wonderful animals we have on Earth, although he does tweak them somewhat to fit into his stories! This time we have another 'Earth' that is entirely different to what we have expected, and to that which the colonists have tried to find. I am not going to spoil the surprise by telling you too much, but there are, as usual, a lot of unexpected twists and turns to this story, which is well written and will hold your attention to the detriment of all the other things you are meant to be doing!" "Such an excellent episode in a terrific story. Never boring, always taking off in new, unforeseeable directions, always leaving me sleepy the next morning, and impatient for the next volume! Part sci-fi, part alternate history, tiny bit reality survival TV, with human and animal characters we love and want more of. Soon, please."